GB Abogados have assisted many clients who have experienced difficulty with their mortgages in Spain. 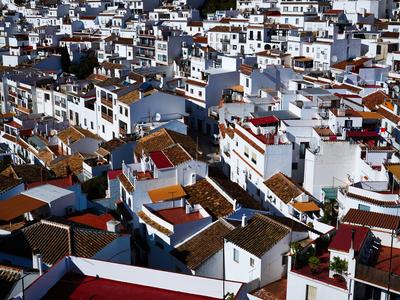 Obviously everyone has different circumstances, but the economic situation over the past couple of years has led to widespread difficulties for many property owners in Spain. Your situation may have altered since you took out the mortgage, or the mortgage payments may have increased after the end of an interest-only period. Whatever your situation, it is likely that GB Abogados can assist. Our experienced solicitors can negotiate with your mortgage lender in order to obtain the best possible outcome. For many people, this is disposing of the property. There are a number of ways of achieving this. In many cases the bank will give consideration to accepting the property in full settlement of the outstanding mortgage. This can even apply in cases of negative equity. If this form of settlement (known as dación en pago) is achieved, then the completion of the process is signed at a notary in Spain. You would not need to travel, instead a Power of Attorney can be signed to enable one of our solicitors to sign on your behalf. Another possibility, and the most common, is a managed sale of the property to a third party. The property would be placed on the market with the cooperation of the mortgage lender. Often the bank will agree to receiving less than the outstanding balance of the mortgage to enable a sale to proceed at current market value. The benefit to the bank is that they will not be liable to payment of taxes if the property is sold, whereas they would have to pay taxes for a dación en pago. GB Abogados have agreed settlements for hundreds of clients in recent years. We benefit from experienced with all the banks in Spain and we are aware of the options depending upon which bank is involved. If you have a mortgage in Spain and are struggling to meet the monthly mortgage payments, please contact us today. We will review your situation under no-obligation and provide our advice as to your options.